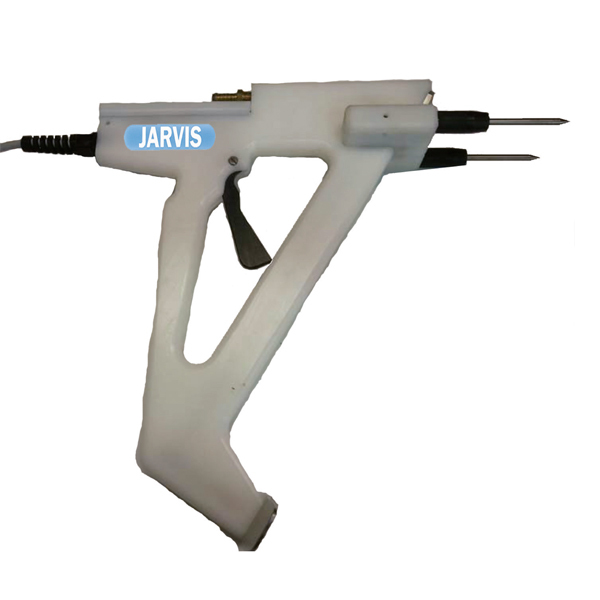 The Jarvis Model M2J – electrically powered head to back stunner for sheep, bobby calves, deer, pigs and poultry. • The Jarvis Model M2J Stunner for head to back humane stunning of sheep, bobby calves, pigs, deer and poultry. • Easy and comfortable operator handling for full kill or high frequency stunning. • Lightweight, tool weights less than 5 pounds (2.2 kg). • Easy to clean and maintain with minimal moving parts. • Economical and reliable for low cost stunning operations.